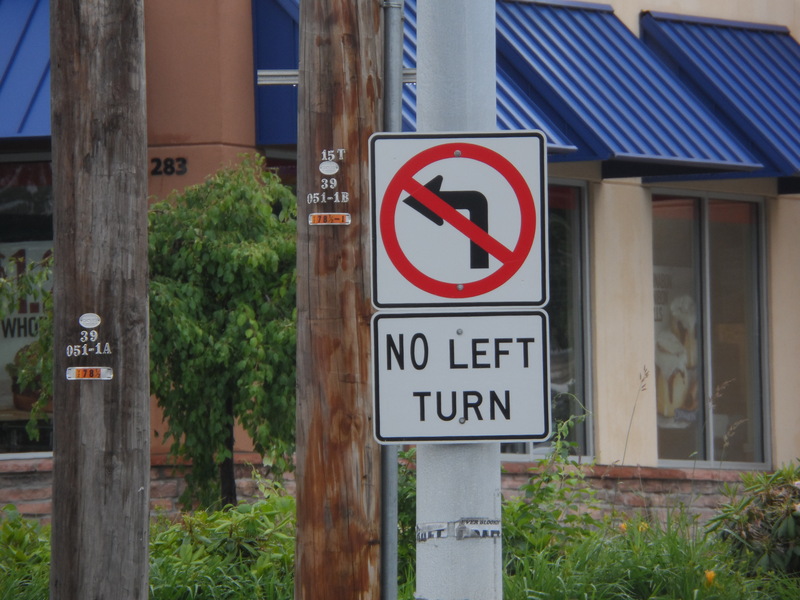 The city of Montreal recently installed a “no left turn” sign at the entrance to Towers Street, a block-long, one-way road. In effect, this sign turned the entire block into a no-go zone and cut off access to apartment parking garages along the impacted street. Towers’ cross streets are both one-way, with drivers entering from Saint Catherine Street and exiting De Maisonneuve Boulevard. Since all roads involved are one-way, only one route provides access: heading northeast on Saint Catherine and turning left onto Towers. After the “no left” sign was put up along Saint Catherine, drivers could still exit the block by turning off onto De Maisonneuve Boulevard. Still they were prevented from turning onto Towers in the first place — they could depart, but not return. Within a day, video cameras began catching cars ignoring the sign and turning onto Towers anyway. Citizens, meanwhile, started asking the city about it on social media. According to reports, the city put the sign up in anticipation of city maintenance work scheduled to last for multiple years along the stretch of road. Montreal apparently plans to reverse traffic on Towers and ban street parking during the overhaul, but failed to notify local businesses and residents or flip the one-way street first. Added after this planned reversal, the sign would have been useful, helping remind drivers that the street now runs in the opposite direction. The city has since removed the sign for now to avoid confusion and to allow continued access to residential garages as well as the service department of Toyota Gabriel Centreville (which also has its entrance along Towers). The renovation plans are currently on hold. Presumably, when construction does begin, the city’s planners will think a bit more about their order of operation (and perhaps let citizens know first). Sounds like some people need to be fired for not know how to inform the people impacted by this.